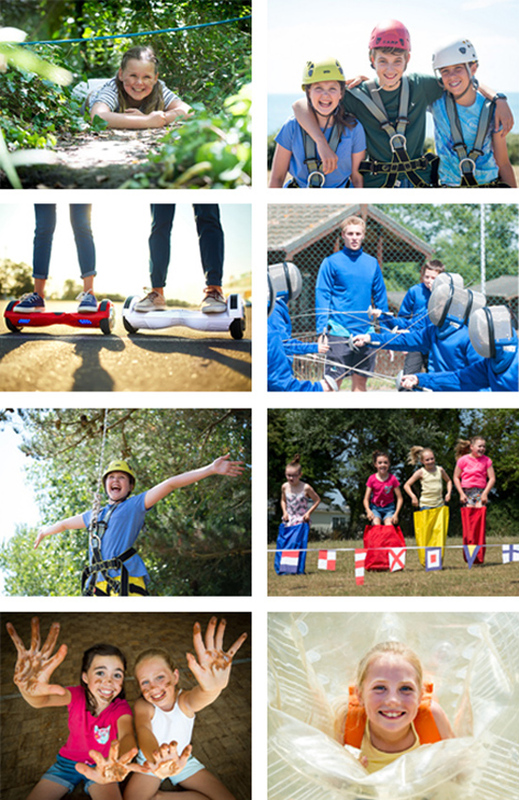 Our portfolio is packed full of exciting activities to choose from - and our fully trained and qualified enthusiastic team is at the ready. 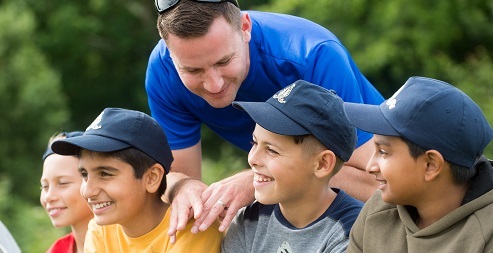 We know how young people really enjoy variety, so beyond our adventure activities, we’ve devised some fantastically challenging problem solving, and team building development sessions. So we get to motivate your pupils and create great fun, simultaneously. Below is just a sample of our action-packed activities. Just call us to discuss your exact course requirements and we’ll tailor-make the perfect course that ticks all your boxes. Click here to download the PDF Risk Assessment. Our Archery GB trained instructors will teach the basics of this very popular activity and will encourage children to develop their technique and show awareness of all safety measures. This activity is a great opportunity for children to develop dexterity, control and precision and have a go at being Robin Hood for the day! Using basic archery skills this exciting activity uses technique and accuracy to shoot soft ended arrows at specially designed targets and goals whilst travelling around a pre-set course. This activity is a great opportunity for children to develop control and precision whilst learning a new skill. This fast-paced activity will encourage children to work together to achieve a common goal, taking on different challenges that will encourage lateral thinking, teamwork and develop physical ability. Working in teams, children will learn how to design and build their own moving Buggy before adding their creative flair and racing it against the other teams. Buggy Building is a physical challenge but also encourages teamwork and problem solving, and teaches participants basic knot techniques. Bushcraft is an exciting activity that teaches children the wide range of skills necessary to survive in a wilderness scenario. They will learn how to utilise the environment around them to build shelters, find food and keep warm. Bushcraft develops teamwork, problem solving and teaches respect for the countryside and nature. Experience one of our most popular activities and take to the pool in a canoe. Combining basic canoeing skills with exciting, fun filled games, this session aids communication skills and builds confidence in the water, all under the watchful eye of our trained lifeguards. In this exhilarating off ground activity, participants work together in pairs to climb as high as possible by stacking crates and climbing up their tower. Participants will be kitted up with helmets and harnesses and the activity is fully supervised and belayed by our externally trained instructors. An exciting activity which gets the adrenaline pumping and develops teamwork and co-ordination. Children will take on different challenges, from blind catch to balance beam. Participants must work together to achieve success. This activity targets teamwork, leadership, communication skills and strategic thinking. This unique activity is a firm favourite with groups. Children will be met by the Den Chief, before being led to the “Secret Clearing”, where they will develop their teamwork skills and build confidence as they learn how to build their own dens. Once built, children will develop creativity as they decorate their dens with unique and attractive items. This exciting game uses skill, co-ordination and accuracy to launch specially designed Frisbees into targets as you navigate our centre’s disc golf course in the minimum amount of shots possible. This exciting activity gives participants the chance to use their intuition, teamwork skills and intelligence to accomplish their timed challenge. With hidden puzzles and riddles to be solved, this activity is sure to have the group baffled, bemused, but ultimately proud of their achievements. Coached by British Fencing Association qualified Instructors, children learn the basic principles of attack and defence, including the en-guard stance and the lunge. Once they’ve mastered the basics, they can prepare to outwit their opponent in a test of skill and fast reactions. This activity combines strength, balance & control – as well as tactical awareness. This fun and exhilarating experience involves rolling round a field in a huge inflatable zorb ball. Field Zorbing is an ultimate thrill experience allowing participants to run, roll and bounce on level ground in a human hamster ball, and partake in a variety of exciting games. It’s a great way to get active, and is physically challenging whilst also being fantastic fun. Using our cutting edge self-balancing boards, participants attempt to guide themselves round our course. With pressure pad recognition, the hover board is incredibly intuitive, and extremely exciting to use. Participants will experience a great sense of achievement when mastering the hover board, which is fantastic for their confidence. This large team event involves the whole school in a collection of multi-skilled events. Children can experience the buzz of being an Olympian as they try their hand at track and field events, as well as team games, all delivered in a unique and exciting way. Promoting fitness through dance, groups will learn a street dance routine which they will perform to a high energy tune at the disco on the final night. Master steering, braking and skidding while manoeuvring our fantastic turbo twist karts around the race track. Designed like a racing car and pedal powered, groups will require speed for our time trials, accuracy for the target games, and teamwork for the group challenges. Groups take part in our exciting low ropes course. Built using specially designed equipment, and set between the trees, groups must work together to navigate the course, while safely spotting each other. The emphasis is on safety and co-operation as well as individual achievement. Although only a couple of feet above the ground, the low ropes course can foster skills such as trust, decision-making, planning and communication. Children tackle a variety of large scale problem solving tasks, set in our woodland environment. From crossing our croc swamp, to rescuing the toxic barrel before it explodes, or balancing the full team on our giant seesaw, participants must work together to achieve success. This activity targets teamwork, leadership, communication skills and strategic thinking. Participants must work together in teams to complete this photo-based challenge. Can you recognise the clues given and navigate yourselves around the site with success! This activity targets communication skills, teamwork and attention to detail. Learn how to orientate themselves and others using pictures, maps etc. Children use their initiative and creativity to work together to design and build their raft out of barrels, wood and rope, before taking to the water to test it against their opposing team. This is a great activity for developing team work, leadership, planning and problem solving. Children take part in our unique range of sensory challenges and will explore our 5 sense zones before taking part in the final sensory adventure, which combines all of the skills learned. Communication and trust are built as students work together as one group and in smaller sub-groups. Tree climbing is an exhilarating activity which allows participants to develop basic climbing skills and techniques in the natural environment of woodland trees. Tree Climbing offers the ultimate opportunity to develop co-ordination, endurance and willpower, and participants will soon be working their way up through the branches under full instruction and supervision. Once skills have been mastered on the tree climb, participants may wish to progress to our simulated ice climb, and attempt a more challenging climb with ice picks. Climb inside this giant cylinder-shaped inflatable and work in pairs to navigate and direct it around the swimming pool. This activity encourages communication and teamwork and offers a fantastic opportunity for groups to try something brand new and very exciting. Water Wars is an exciting land-based activity involving various water games. Children will be split into teams to compete in and play different games involving races, ball games and the ultimate gauntlet. The session finale involves them working together in their teams to build a shelter and defend their territory in a ‘Capture the Flag’ competition! The element of friendly competition will develop children’s self-confidence and teamwork. Campfire is a great evening activity to unwind from the active and challenging day. The whole group can participate in singing songs and playing games gathered around the campfire, and party leaders are more than welcome to bring marshmallows for toasting. An excellent opportunity for the group to come together for some light hearted fun before bedtime. With all the latest tunes, the disco is a great opportunity for children to hit the dance floor and show off their moves whilst also socialising with their friends. This brings the whole group together for a fun and energetic end to their In2action trip. 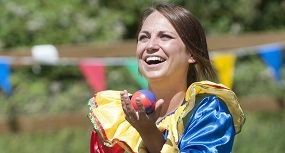 Safe, fun and incredibly entertaining, our It’s a Knockout event incorporates a wide range of wild and wacky games. All our games are designed to challenge a team’s range of skills through a series of physical and mental tasks, and testing the team’s ability to work as a unit and face the challenge. A short local walk which incorporates the fantastic countryside and beachfronts surrounding our centres. Children play games at organised stops and discover many historic and natural wonders of the local environment. Children’s knowledge is put to the test as they compete in teams in various fun quiz rounds. Teams will compete in fun-based challenges to win different materials to use in the production of their chosen project, and put their creations to the test against other groups. Supervised by qualified life-guards, the evening swim session enables children to enjoy some free time in the indoor pool, developing water confidence and swimming skills, whilst having fun with their friends. Awesome variety of activities, there was something for everyone. Your enthusiasm and endless patience has been excellent!